We now have a 1-day Kimberbell Machine Embroidery Event. 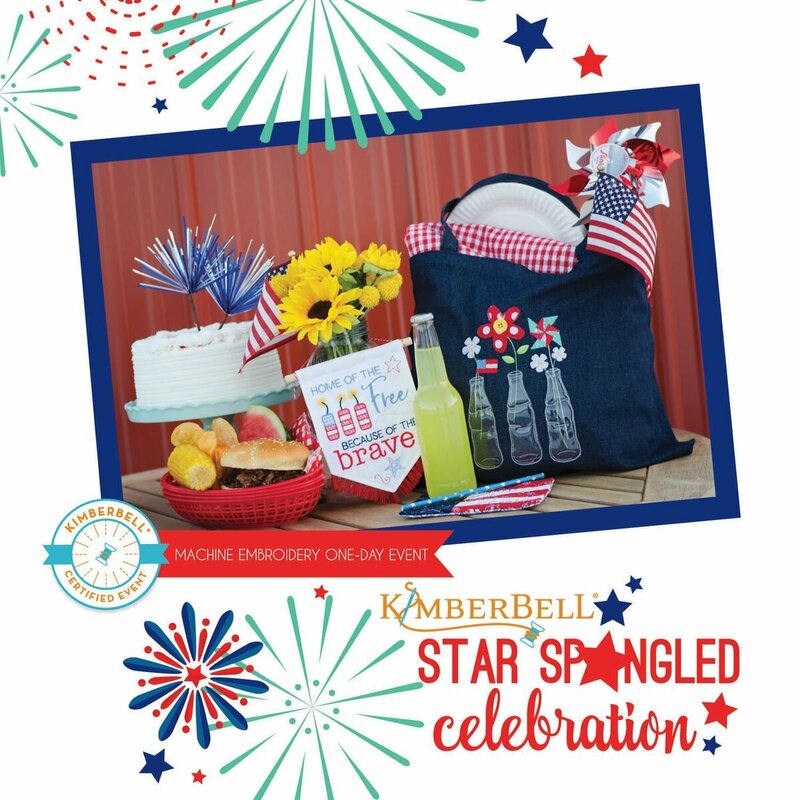 The “Star Spangled Celebration” is a great place to try out a new embroidery machine while embroidering and completing THREE Kimberbell exclusive in-the-hoop projects just in time to decorate for the summer holidays! Requirements: You will need an embroidery machine with a 6x10 or larger hoop. If you don't own an embroidery machine and would like to borrow one please let us know so that we can make sure to have a loaner ready for you.